What is Refurbished Fitness Equipment? Since most gyms need a variety of machines for members to use, buying refurbished machines can help them save money on equipment. Refurbished fitness equipment is any fitness gear that has been returned to manufacturer technicians to be renovated back to the original product specifications. 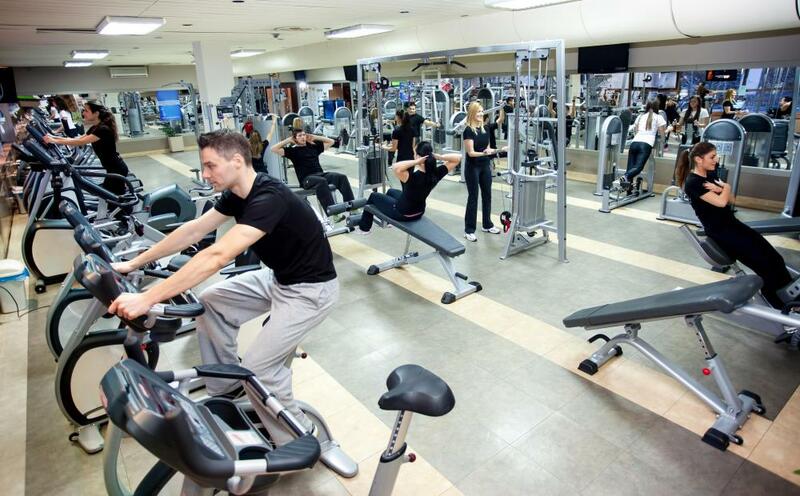 These types of refurbished items can save gyms and their owners a whole lot of money. They generally provide a competitive level of integrity and durability, and may come with a warranty similar to what a new equipment item would carry. One of the major costs in any home or commercial gym is the cost of equipment. In any of the main categories of exercise, equipment that participants generally use can become prohibitively expensive without an “economy of scale” or master plan for buying. In cardio training, treadmills and elliptical machines can cost thousands of dollars. Even in free weight training, well-designed and well-cast weights and accessories can cost hundreds or thousands of dollars. Buying refurbished commercial fitness equipment is a popular way to cut down on costs without sacrificing quality or worrying about long term use. Because refurbished fitness equipment carries warranties and guarantees from the manufacturer, it is a viable option for outfitting a public gym or a home gym space. When refurbished fitness equipment comes back on the market, it has generally been re-coated and visually repaired, as well as tested for any potential defects. The manufacturer technicians use OEM (original equipment manufacturer) parts to make sure that repairs fit the standard for the design that ships new from the factory. Although refurbished fitness equipment generally lasts, it does sometimes carry a certain stigma for some users. The idea persists that “refurbished is not new” – this can occasionally be an issue when gym managers purchase refurbished equipment. Any defect or problem with the equipment may be easily blamed on its refurbished status. In some cases, if the facility responsible for refurbishing has not done its job well, some minor problems can lead to a lack of consumer trust in the process of buying refurbished equipment. Individual planners at gyms and health clubs need to evaluate their needs and build a long-term purchasing strategy. This can include buying new or refurbished fitness equipment, as well as renting larger items during a transition period. Buying refurbished fitness equipment can be a real cost saver that allows a gym to offer more to its members, controlling costs, and bringing the gym’s operation into the black. The key is to evaluate the warranties and other tools that machine owners will use when dealing with any repair issues that may arise. In many cases, having detailed knowledge of your warranty contract is much more important than weather or not an item is new or refurbished. How do I Choose the Best Commercial Gym Equipment? How does Fitness Equipment Leasing Work? What are the Different Types of Commercial Fitness Equipment? What Should I Look for in Used Fitness Equipment? What the Best Tips for Buying Discount Fitness Equipment?